Are you seeking the assistance of a contractor for quality domestic upgrades, repairs and replacement? 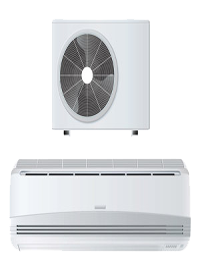 For air conditioning installation Caringbah, want experienced air con installers? At Sequence Communications and Electrical, safety is our first word. And we undertake affordable industrial repairs, commercial repairs and domestic repairs and replacement. Our air con installers carry out air con installations, Caringbah air conditioning and air conditioning service Caringbah. Our other services include CCTV and smoke alarm installations, Air conditioning Installation, setting up access control, safety switch installations, and automation services, any type of fault finding, repairs, replacements and ongoing regular maintenance for industrial, commercial and domestic sectors. "For quality, affordable, safety-oriented electrical services or even air conditioning installation Caringbah and for any type of commercial repairs, reach out to the specialists at Sequence Communications and Electrical. You can call us on 0418 139 999 or (02) 9913 9999 or write to us at peter@sequence.net.au."